Merry Christmas and thank you to our Blacktown and Mount Druitt Hospital’s volunteers. 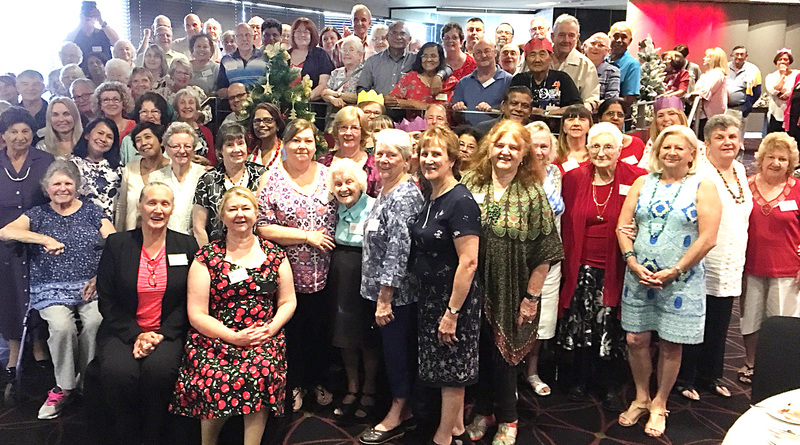 More than 100 Blacktown and Mount Druitt Hospital volunteers were treated to an early Christmas celebration to thank them for all the hard work, dedication and hours they have contributed throughout the year. Blacktown and Mount Druitt Hospital’s volunteer manager Janice Low cheered on the 200 strong volunteers who provide care, assistance and companionship to our patients, visitors and staff. “I love the work the volunteers do on a daily basis and feel privileged to work alongside such a dedicated group of people. I wish them all a very Merry Christmas and New Year during their well-deserved break,” Janice said. Some of the volunteers start their break on 20 December and return to work refreshed and revitalised on 22 January 2018. Mount Druitt Transport and KIOSK volunteers will return to work earlier.